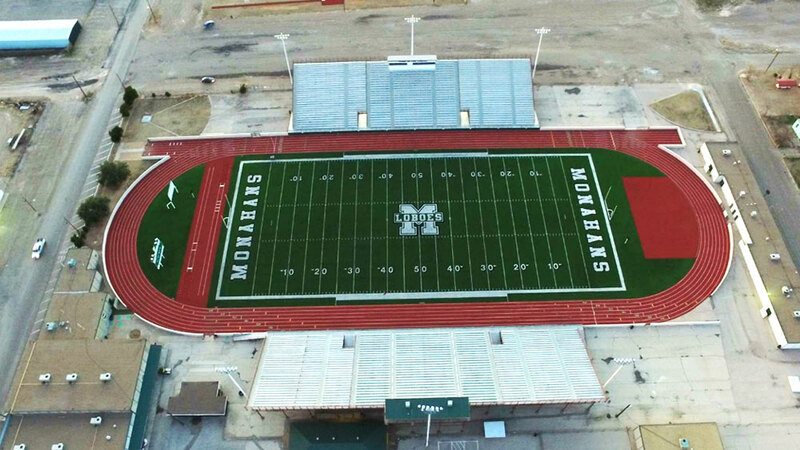 While many young Monahans residents have taken to calling the field Lobo Stadium, it was never officially named Lobo stadium. The actual name is Estes Memorial Stadium. A sign used to be atop the bleachers in the field, but was dismantled by a 1977 tornado.